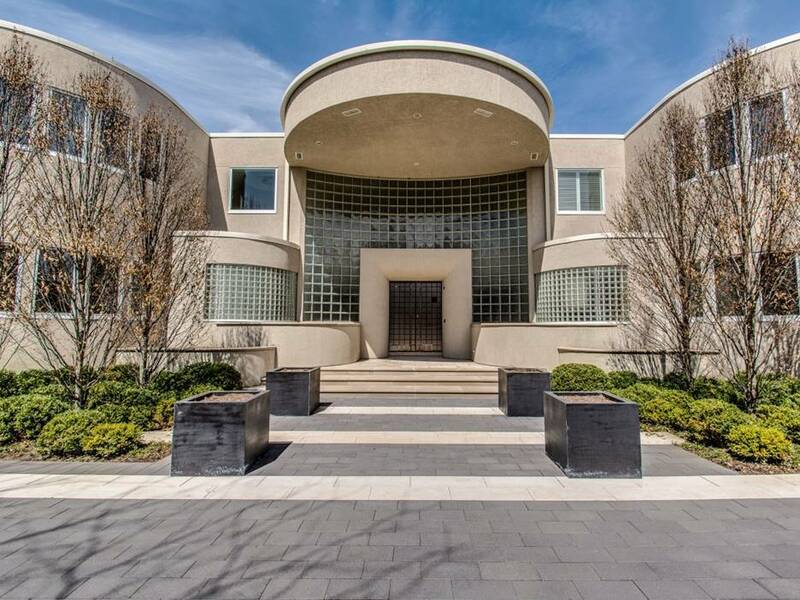 Retired NBA superstar Michael Jordan has multimillion properties; he got a lot in Highland Park, Illinois and built a mansion that was completed four years later. In 2012, he listed it for sale. 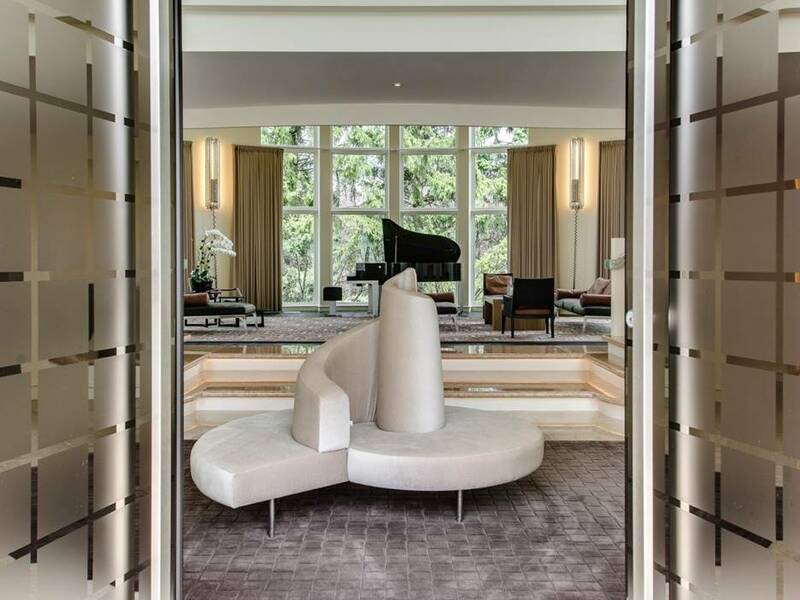 The 56,000-square-foot compound has nine bedrooms, 17 bathrooms and a garage that can safely keep 15 cars. He initially listed it for $29 million but it reportedly went down to $14.8 million now. 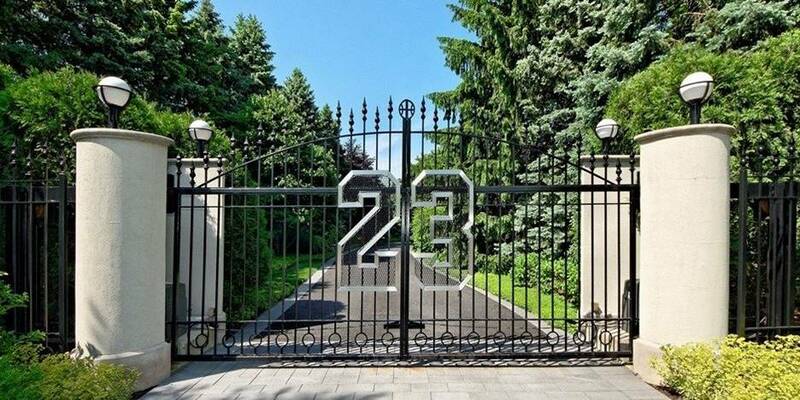 Check out photos of Michael Jordan’s house. The gate with a huge “23” mark greets you as you enter the mansion. This number of course, has always been associated with the NBA legend for this is his jersey number. The palatial home has this for facade. It is marked by glass tiles and half moon roof on the front. Some people say the exterior is a bit dated for it was built in 1995. 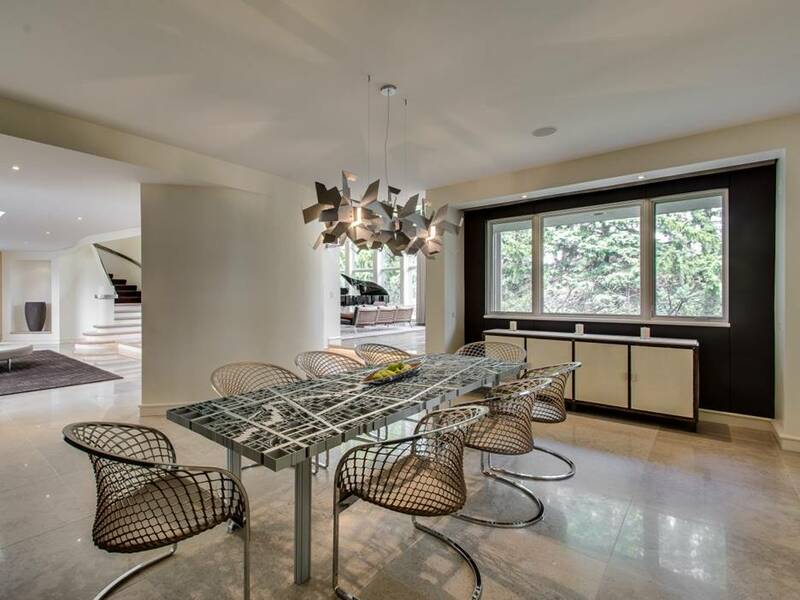 This photo proves that the home is up-to-date, with contemporary interior finishes. The home was completed in 1995, but it went through extensive renovation in 2009. What better way to watch classic Bulls games than in this open air entertainment with wood ceiling and skylight. On warmer days, open the glass windows to feel the cool breeze. 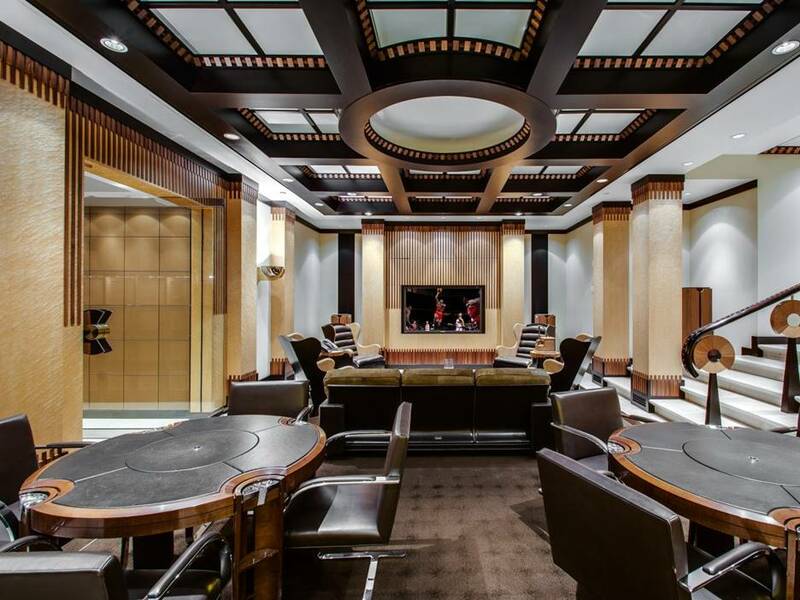 His poker room makes you feel like you’re in a world class casino. The luxurious space is perfect for card games and sports nights. 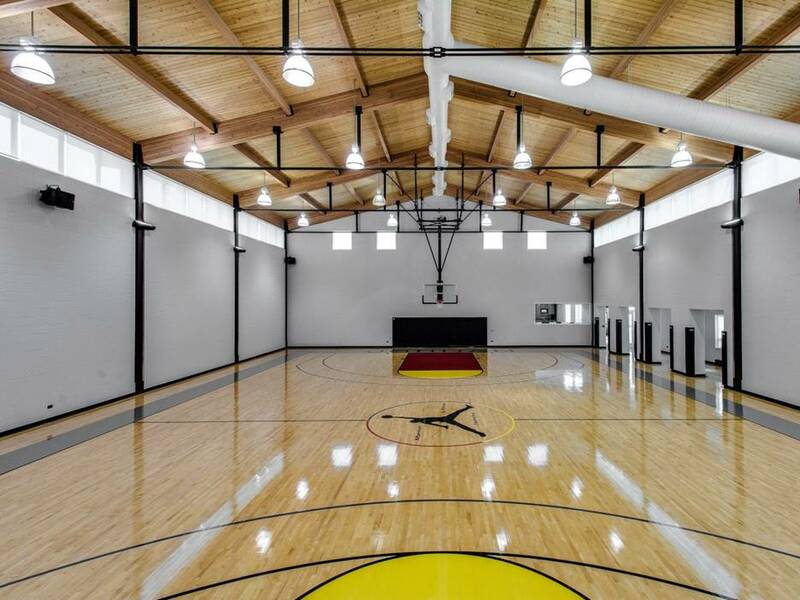 It’s not so surprising to know that the home of the Bulls superstar has an indoor basketball court. This one is designed with Bulls colors and as big as a hangar. 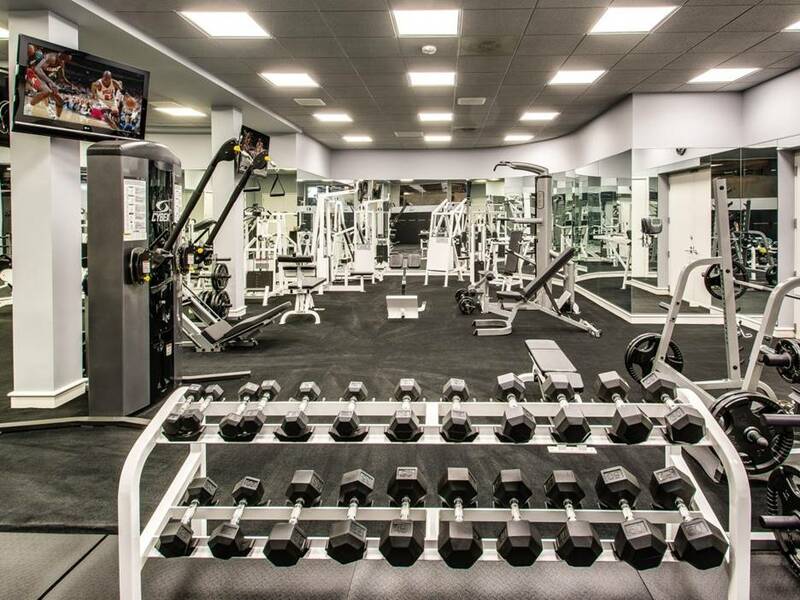 You’ll think this is a picture of a world class gym, but no, this is still part of MJ’s mansion, the training room. Make yourself at home and sit on this large L-shaped sofa with deep seats. The spaces inside his home are minimal and clean. 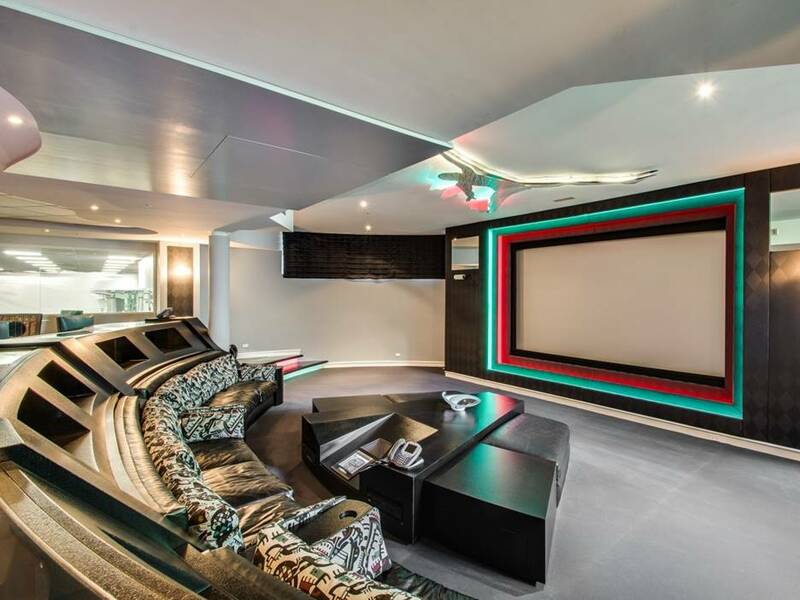 MJ’s home has several media rooms, but this home theatre is for all-out entertainment. It seems like Jordan loves televisions. This dining table doubles as accessory, and surely a beautiful one. The Baghdad table was designed by Ezri Tarazi and reportedly costs $39,500.